At the bankruptcy court’s urging, Hostess and the Baker’s Union agreed to mediation to avoid the liquidation of Hostess and the loss of an estimated 18,000 jobs. But is it really a mediation? The judge hearing the case, Judge Robert D. Drain, will be the mediator. The mediation is tomorrow. If they do not agree, court resumes Wednesday. This is really not mediation, is it? Confidentiality is a critical element of successful mediation. In order for the mediator, the attorneys and the clients to understand the central issues, the motivations, the pressure points and the risks of litigation, the participants must be assured the discussions cannot and will not be disclosed to others so they can talk openly. Frequently, some of the motivating forces behind lawsuits are legally irrelevant and yet exceptionally important to understanding the conflict and facilitating resolution. Frequently, clients disclose private events, perceptions or issues in mediation they would not want disclosed to anyone. Explaining their concerns and fears is often critically important to them in order to resolve the conflict. If discussions with the mediator are not confidential and privileged, the mediation process, the mediator’s role and the potential for resolution are significantly diminished. Second, mediation of complex cases requires a different type of preparation than trial preparation — for the attorneys and their clients. See, “How to Achieve the Best Results in Mediation” and other articles on the differences between trial preparation and mediation preparation. Less than a day of mediation preparation for lawyers and clients and the “mediator” is absurd. Last, but not least, as my friend Jeff Kichaven explains in “Professional Mediators: A Distinction With a Difference,” untrained judges are not mediators. Enough said. 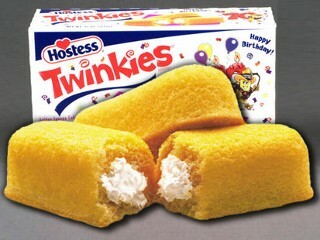 Maybe the judge is unwilling to facilitate the liquidation of Hostess. Perhaps he’s afraid he will no longer be able to purchase Twinkies and Ding Dongs, hoping for the return of the 1950s. But, it appears that the Hostess recipes will continue, whether you make them at home or if the company is successfully purchased by one of the many suitors. This entry was posted in Confidentiality, Privilege, Settlement and tagged Hostess, mediation confidentiality, mediation privilege. Bookmark the permalink.